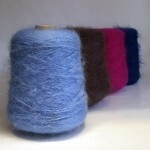 ?> 450g cones of chunky, luxurious mohair yarn in a vast range of colours. 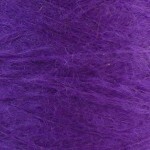 A brushed mohair made from 78&percnt; mohair, 13&percnt; wool and 9&percnt; nylon. Chunky mohair in a gorgeous range of colours on 450g cones. A 450g cones is the most economical way to buy our mohair and perfect for large projects such as warping and chunky machine knitting. Guaranteed to be the same dyelot throughout and no knots (or at least not as many as there would be with multiple balls). Destiny is perfect for knitting and crocheting into warm and cosy garments and accessories. One 450g cone should give you one sweater of approx. 36"/38" and one ball knitted on big needles will create a long, soft scarf&excl; Excellent for using on a chunky knitting machine for quick results. 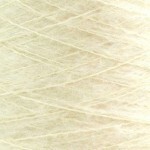 Many mohairs knit or crochet to the same tension on the same needles even if the meterage or the thickness is different. Because mohair is light and fluffy, with a "halo" it bulks out to the same gauge, therefore a thicker mohair will produce a thick, light fabric and a thinner one will produce a light, floaty fabric that will be the same size as each other&excl;&excl; It is generally knitted as chunky, though if you're using a pattern which isn&apos;t specifically for chunky check your tension first.